Unfortunately, our pets do not live as long as we do. In fact, compared with us they live relatively short lives and although we realize this, nevertheless when the time comes to say goodbye, we experience feelings and emotions that sometimes embarrass us, and often confuse us. "...stages of mourning and grief that are universal and are experienced by everyone...following the loss of a loved one..."
These feelings actually follow a well-recognized cycle, with stages of mourning and grief that are universal and are experienced by everyone to a greater or lesser extent following the loss of a loved one, be it a person or a pet. What are these stages of grief? There are 5 stages of grieving; the length of each stage may vary in any individual case. The first reaction to loss of a loved companion is one of shock. You cannot believe it and initially deny the reality of the situation. Obviously, there must be an alternative explanation! Remember that shock followed by the stages of denial and isolation helps to carry us through the first wave of pain. This commonly follows our initial shock reaction. You may direct your anger within (I did not do enough), at your veterinarian (they did not do enough) or at the animal who is the subject of your grief. If you direct your anger inwards, you are likely to also feel the pain of guilt. Remember that feelings of guilt and helplessness are quite normal and are part of the grieving cycle. 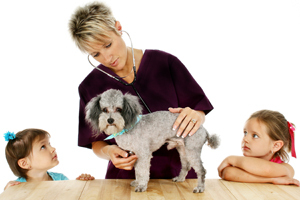 During this period, you might want to discuss your concerns with your veterinarian, especially if you have any worries or doubts. Often a heartfelt discussion will do much to ease your pain and distress, and help with the emotional loss of your animal. In order to overcome feelings of helplessness, it is not uncommon to try to strike real or imaginary deals in order to change the circumstances. "If only I had sought medical attention sooner", "if only I had asked for a second opinion", "perhaps I should have changed my pet's diet", etc. These again are all normal reactions under the circumstances, but do not be afraid to discuss them. This is a very common and often prolonged part of the grieving process. Actually two types of depression are recognized with mourning. 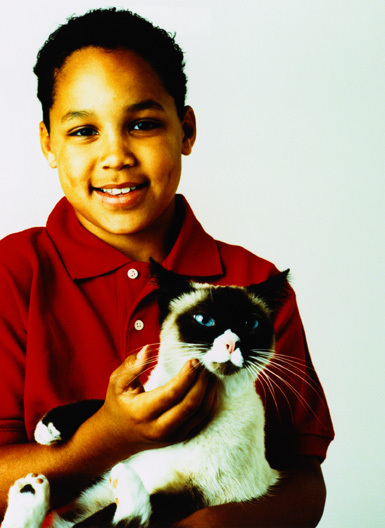 The first concerns the practical implications relating to the loss of the pet. Sadness and regret predominate. You worry that while caring for the animal you have just lost, you have neglected your other commitments. The second type of depression is perhaps more subtle and is certainly more private. You feel isolated and unable to express your feelings. There is a general sense of confusion and an inability to concentrate or normally routine matters. A change in appetite and insomnia are also common signs. This is the recovery stage. You can talk more freely about the loss of your pet and furthermore begin to realize the benefit of communicating your feelings. You soon realize that you are assessing the situation more objectively and rationally. Unfortunately, in the case of a sudden or unexpected death, for example if your pet is run over and killed, you may get stuck in the stage of anger or denial. It is important to remember that other people understand the bond you had with your pet and can offer you support and understanding. "It is important to talk to somebody sympathetic to your feelings when you have suffered a loss." By now, it should be clear to you that your mixed and confused feelings are really quite normal. Do not be ashamed of them or bottle them up inside. It is important to talk to somebody sympathetic to your feelings when you have suffered a loss. Talking helps you come to terms with your feelings and accept your loss more quickly. If you feel particularly vulnerable or feel that you are having difficulty with the mourning cycle, do not be afraid to discuss this with your family doctor or your veterinarian; there is nothing abnormal about the reaction and it is amazing how helpful a little bit of counseling can be. Professional bereavement counselors are available in many cities and towns. If you are having difficulty with grief over the loss of you family pet, please contact our veterinary hospital. We can provide assistance and contact numbers of professionals and pet loss support groups in our area that can help you and your family.